I pulled into the parking lot of the car wash and fumbled around in my purse for my billfold. Anyway. I opened the billfold and found three fairly crisp dollar bills, which was a good thing since the money machine tends to reject any that are wrinkled and worn. I slid the first two into the slot. But just as I was about to do the same with the third bill, I noticed something strange. Someone had written on it. Was the gift-giver a man or a woman? What age was he or she? The fact that the words were written in cursive in a somewhat shaky hand makes me think it probably wasn’t a young person, though I can’t know that for sure. Is Ashley a man or a woman? These days, you hardly ever hear of a male child being named Ashley. But those of us who have read and re-read “Gone With the Wind” know that wasn’t always the case. Was Ashley the gift-giver’s child? Grandchild? Friend? Lover? When were the words written? The bill says SERIES 2009 so it couldn’t have been more than seven years ago. 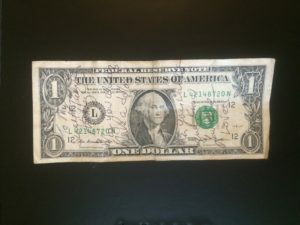 Where does the person who wrote on the bill live? Had it travelled to Cookeville from somewhere exotic like Alaska or Hawaii or is it a local dollar? And on the outside chance it spent most of its life in Putnam County, and if its previous owner still lives here and reads the Herald-Citizen, what are the chances he or she will contact me at jennieivey@gmail.com? 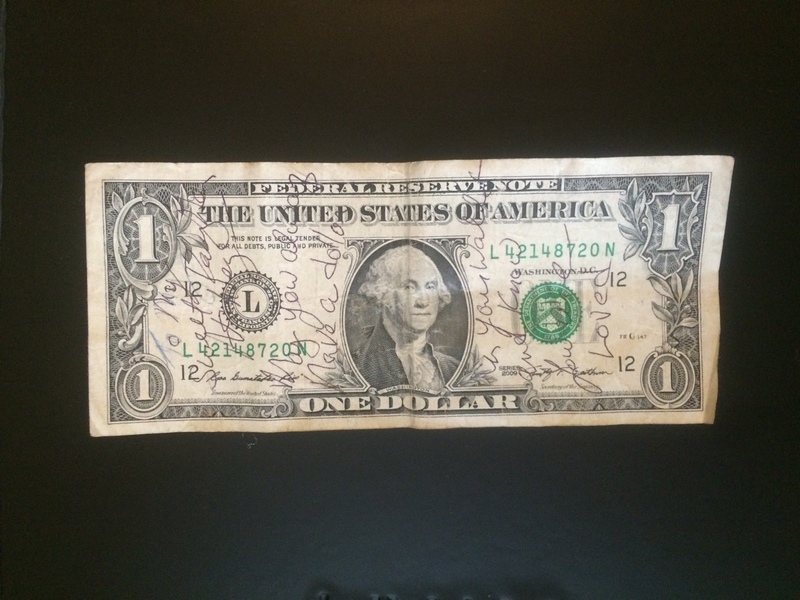 Last but not least, why did Ashley spend this dollar bill instead of keeping it? That, dear readers, is a question to build an entire novel around. Or at least a short story. But, alas, I’ve run out of room to speculate in this column. I can only hope that Ashley didn’t let the dollar go on something so fleeting as a car wash.